I always wanted to do a Castlevania manga. I decided to mess around with a quick sequence. Who else thinks Castlevania should have a manga? Wow, I love you right now. This is marvelous! I totally think it should have a manga. It should so have a neverending series of manga!!!!! This is freakin' amazing!!! I love this!! And yes, we should ban together and make it a manga!!!!! awesome art work man. and by the way, IDW is going to release a 120 page comic in October named Castlevania: the belmont legacy. This is sweet. favs. Wow! It looks so professional! And yes, Castlevania should have a manga! *claps* that's amazing!! 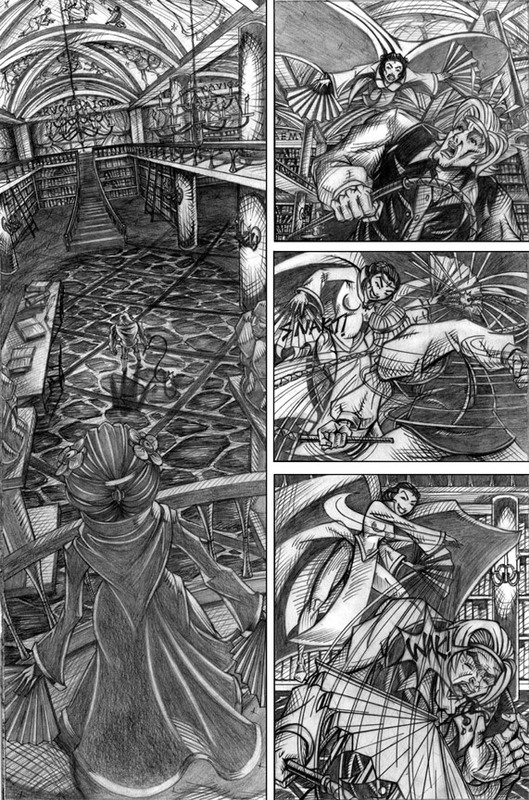 If there ever was a Castlevania manga I'd want it to look like this! i think they should make a manga of it..AND YOU SHOULD BE DRAWINGT IT!! OMG. THAT'S AWESOME!! Wow...it looks very professional. Have u ever entered that Tokypop Rising Stars of Manga contest? u studying architecture or somethen? 0o; this is sick. That pic kicks arse! I've never herd of that game before, oh well. gggggghhhhh.... (you should do more, Castlevania definately deserves it, and who better to do it that grace than you?) gah. I'm a huge castlevania fan. I've been playing the games since the very first one came out on NES. Right now i'm going back between playing Castlevania IV and Castlevania: Lament Of Innocence. This is really beautiful. I'm a huge fan of detail, and i think black and white drawings are under rated. Sometimes they're better than colored versions and i just love this one. You have a great talent, and i love the shading and detail once again, great job. *Jaw hits the floor* Wauw so Kewl! !Not from this earth! Amazing perspective once again! your comic style is so great! awesome job! Sweet Pic there, guy. I have no idea what Castlevania is, but it's really good.